Shakertown Boxed Sidewall Shingles | International Wood Products, LLC. 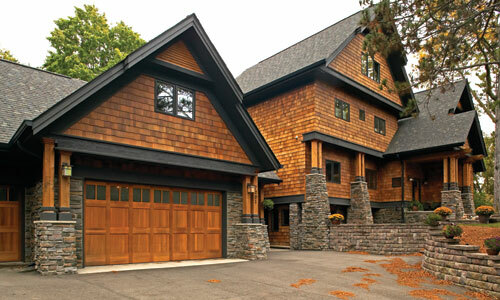 The natural color and grain of Western Red Cedar transforms a residence into a work of art. Cedar shingles lend dimensionality to a home’s design. Give each angle drama. And create an expression of unmatched quality and timeless appeal. Cedar not only outlasts trends in style: it outlasts other building materials. The wood is renowned for its inherent resistance to the effects of the rain, sun, pests and time. Its cellular structure makes an excellent insulator, and allows for natural resistance to weather conditions ranging from severe summer heat to brutal winter storms.